In a former post, I introduced the new open-access journal named Quaternary, of which I am the Editor-in-Chief. Now I am glad to announce the publication of the first paper of the journal, which is the inaugural editorial. 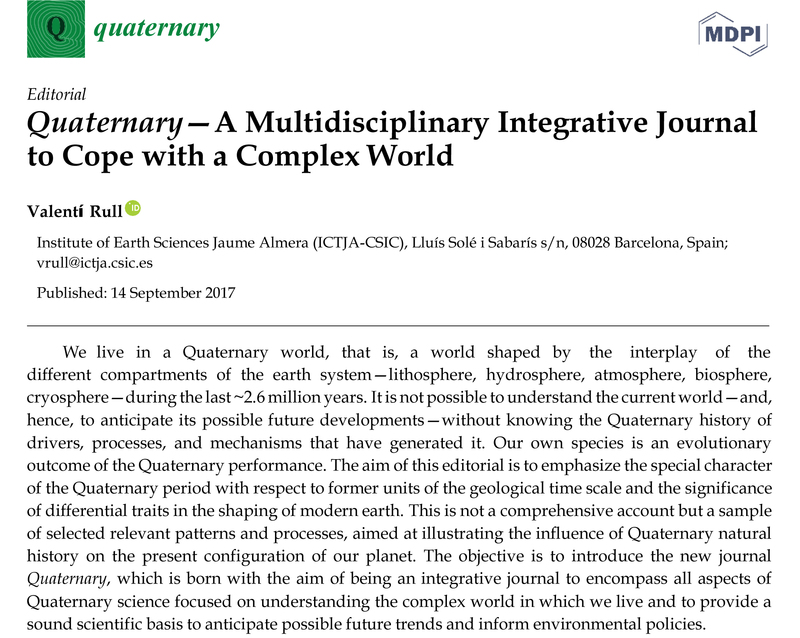 In this paper, entitled Quaternary – a multidisciplinary integrative journal to cope with a complex world, I briefly summarize the special character of the Quaternary period and provide the major guidelines of the journal, as well as some aspects regarding editorial policy and ethics. The paper can be read and freely downloaded at the journal website and the abstract is provided below. The first official issue of Quaternary is projected by spring 2018. Manuscript submission is already open in the online submission system.